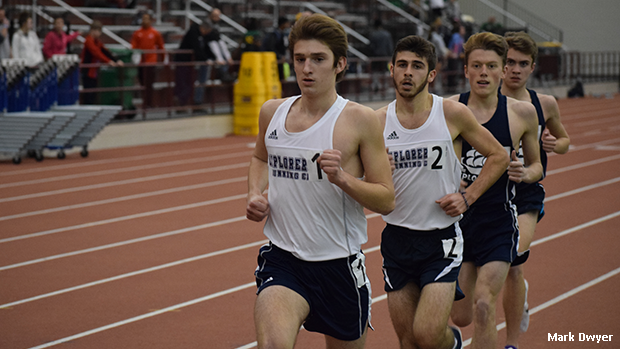 Hudson, shown at SPIRE during the indoor season, set a new state best mark in the 4x800. The squad from Hudson took a resounding win in the 4x800 contest at the Medina Relays over the weekend. Their 7:58.41 clocking separated themselves from the field by over 20 seconds and it also represented a new meet record. In terms of rankings, the Explorers now hold the top spot in Ohio and #16 nationally. Team Members: Lucas Lay, Luke Good, Evan Manley & Adam Beucler.